Wizards have to start somewhere and what better time to learn the intricacies of magic than the formative years of youth? Dress your child, or apprentice as they are often called, in the proper garb with the Youth Wizard Robe! 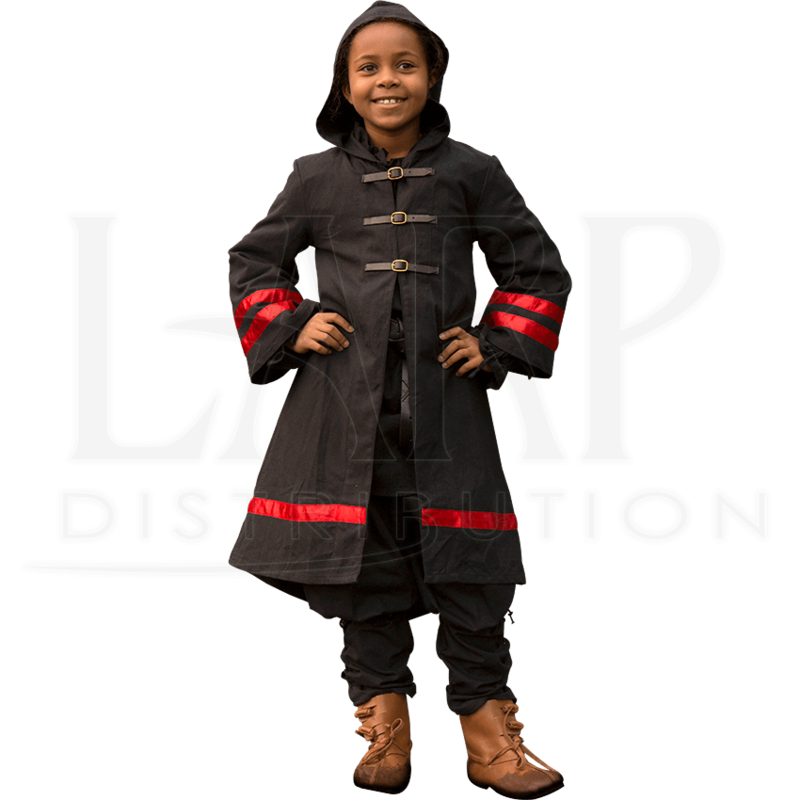 This epic fantasy robe is handmade from fabric that has been dyed black and features red accents along the bottom hem and at the end of the sleeves. The bottom of this robe, which closes thanks to three buckled straps, is cut in a high-low style that comes to a taper at the back. 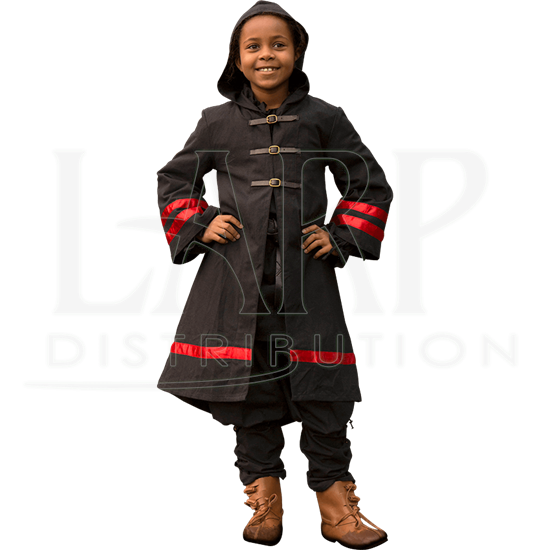 This wizardly robe also features a hood, to enhance the mystical aesthetic of the piece and to protect the head of your young one from the elements. Introduce your child to the magical world of live action role play with this incredible piece of fantasy clothing!